The correct grip improves handwriting. With modern technology, much written communication originates from a keyboard, but legible handwriting is still a necessary skill. Writing requires your brain, eyes and hands to work together to form letters. 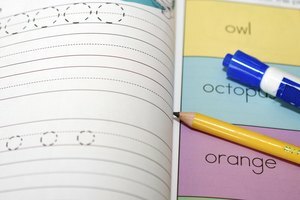 A little practice with correct form can improve the appearance and readability of handwriting for both kids and adults. Before you can improve your handwriting, you need to know where you're falling short. Look through samples of your writing to determine what makes it difficult to read or visually unappealing. Perhaps you write your letters very small or squished. Check on spacing of letters and words, proper formation of letters and the slant on your letters. Focus on the particular problem as you practice. If your letters are small, put more effort into writing larger letters. If certain letters trip you up, practice those letters in isolation and within words. 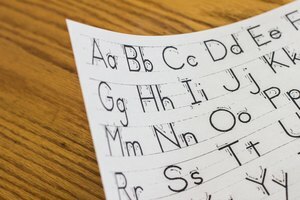 Positioning and technique play a role in how your handwriting looks. 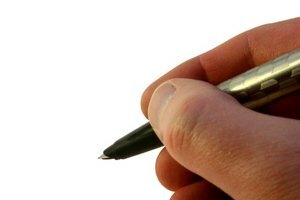 Grip the writing utensil between your thumb and first two fingers so that it rests against your fingers. You don't need a death grip on the writing utensil. Hold it firmly enough to control the tip but not so hard that it hurts your fingers. Lighter pressure on the paper helps you create smooth lines in your letters, improving your letter formation, according to Kids Health. 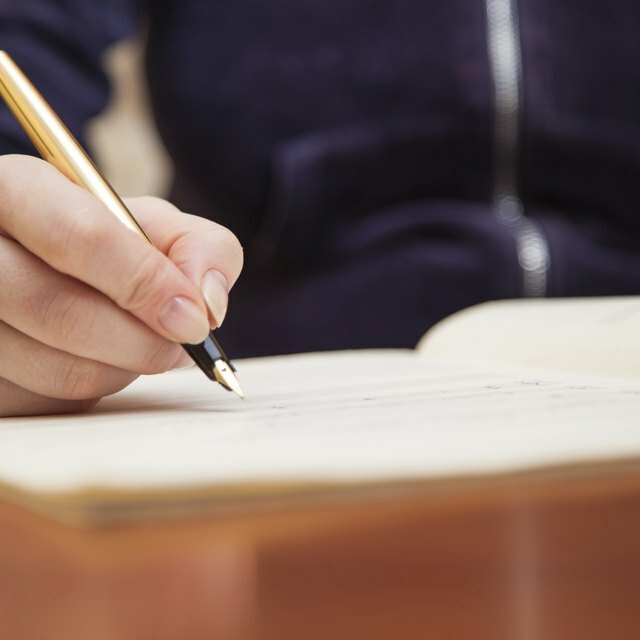 Writing at a slower pace also helps you focus on letter formation and gives you more control over your handwriting. Letters are formed from several basic strokes. Practice those strokes individually to get your hand used to forming them. Strokes found in letters include vertical lines, horizontal lines, slanted lines, curves, circles and zigzags. Build on those doodles to practice specific letters. For example, if you don't form certain letters correctly, write those letters slowly, focusing on the specific strokes in the letters. Lined paper helps with letter sizing. Once you are satisfied with your formation of the letters, focus on improving your speed without sacrificing the legibility of your handwriting. Reading Rockets, a national literacy initiative, recommends teaching young children handwriting in meaningful contexts that encourage written expression. Use that same idea by picking up a pen instead of typing in real-world writing projects to stay motivated as you practice. Write lists and notes by hand instead of typing. Keep a journal and commit to writing in it daily with slow, accurate strokes. 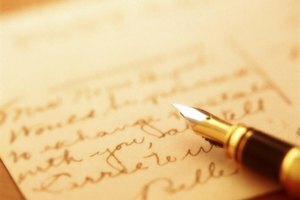 Put a handwritten letter in the mail to surprise an acquaintance. 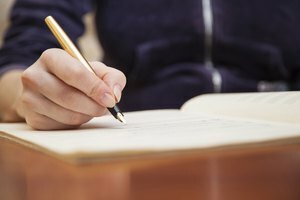 These authentic writing opportunities make the practice meaningful while improving your skills. 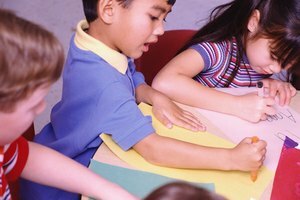 What Are Prewriting Skills for Elementary Students? Frost, Shelley. "How to Improve Your Handwriting." Synonym, https://classroom.synonym.com/improve-handwriting-16072.html. Accessed 24 April 2019.